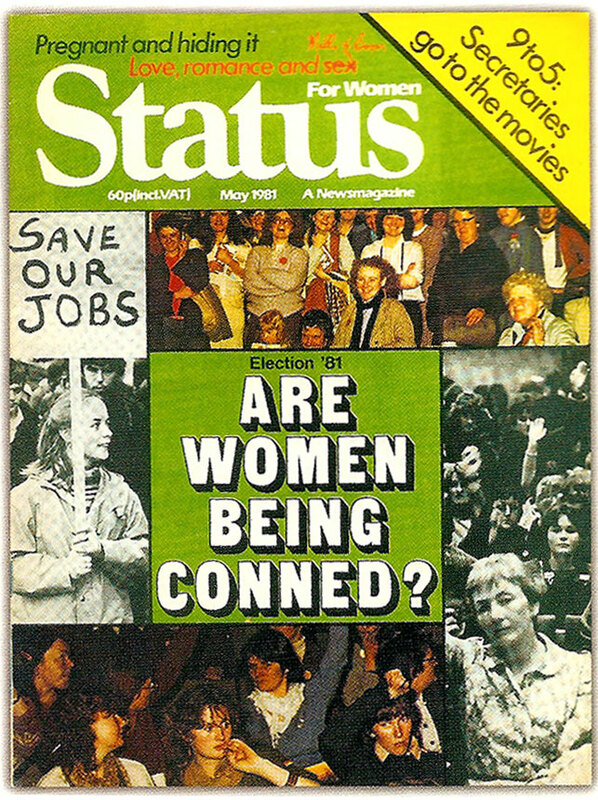 Above scan is an advert which appeared in Magill, January 1981 ahead of the launch of the first issue of its sister magazine, “Status” on 19 February, 1981. 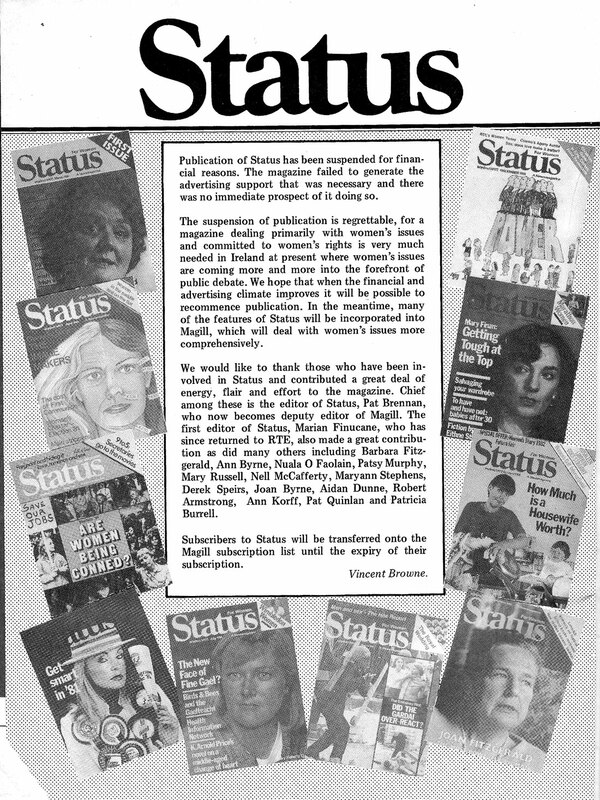 Twelve months & 10 issues later, Magill published a one page notice (see scan below) stating that publishing of future Status issues had been suspended. 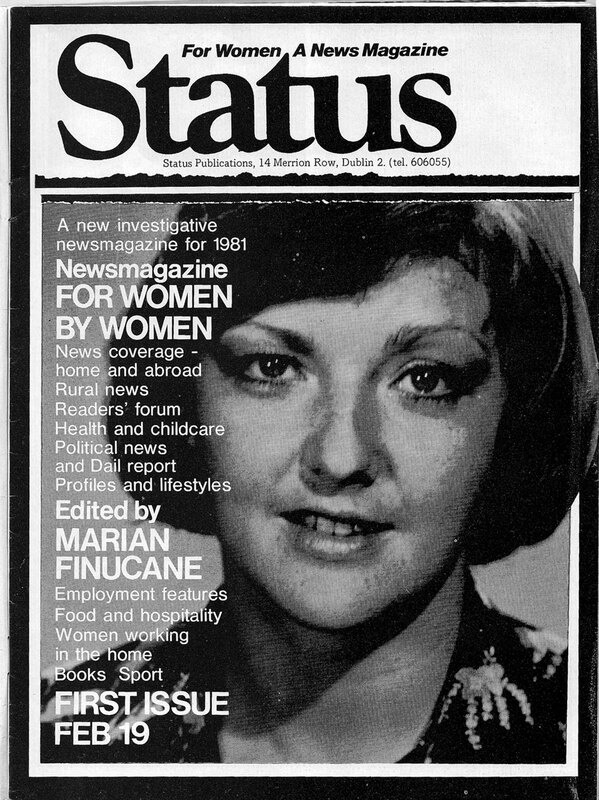 Marian Finucane was the original Status editor, but Pat Brennan took over the role, and she, in the Magill 2000 edition, wrote a fantastic retrospective piece on the life & struggles of Status in Ireland, 1981. 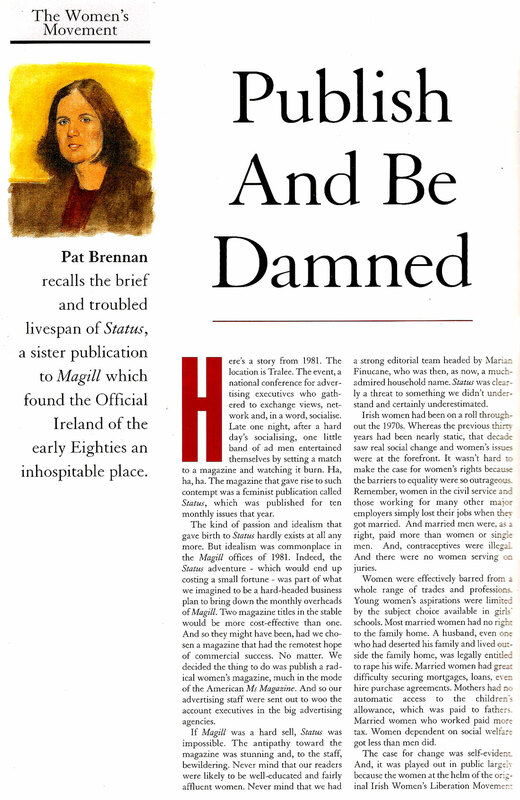 I’ve also scanned in Pat’s “Publish and be Damned” article below. I heard it merged with Man Alive. After I put a search in google for ‘women issues irish magazine’ or something to that effect, your blog came up. 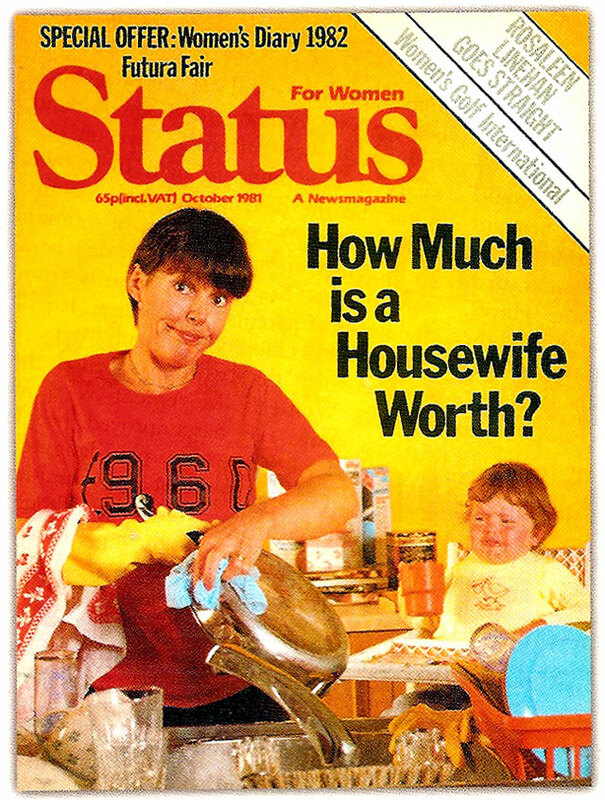 I can’t thank you enough because I’m now using Status as a topic for my history essay in my journalism masters class. 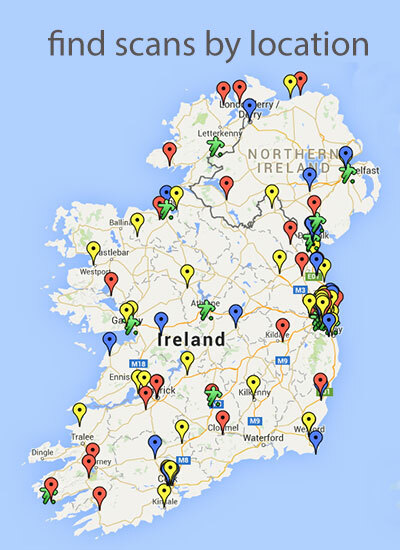 I’ve also gone to the National Library and they have it all on file. 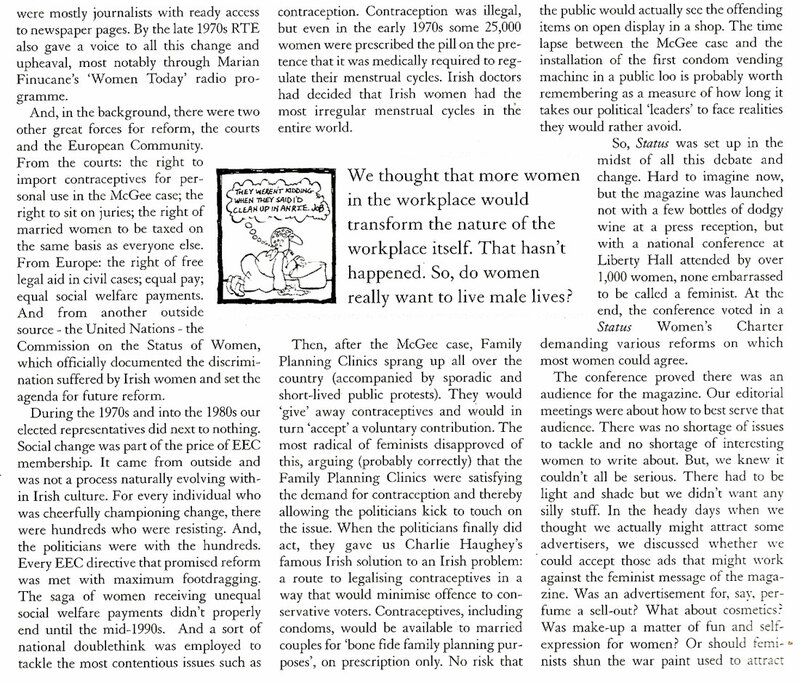 Looks like a great publication, shame it only ran for a short time. Thanks Aileen, really nice of you to let me know. The beauty and power of the web. Great to hear and good luck with the essay!